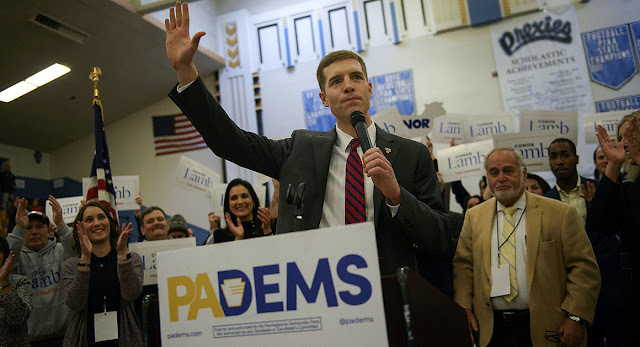 VietPress USA (March 14, 2016): A razor close the election result of the special election at 18th Congressional district in Pennsylvania between Democratic candidate Conor Lamb and Republic candidate Rick Saccone now brings the winning to Democrat Conor Lamb with 113,813 votes (49.8%) while Republic Rick Saccone got 113,186 votes (49.6%). There are total 228,378 votes, 100% reporting (593 of 593 precincts). The results may still be contested, but Mr. Lamb’s current lead appears insurmountable based on the number of provisional, military and other absentee ballots left to count. Now Mr. Lamb will have to decide soon which district to run in this year. The State Supreme Court threw out Pennsylvania’s current congressional map and recently issued a new map with redrawn boundaries. Tim Murphy, a Republican, resigned from the seat last year after reports that he encouraged a woman, with whom he had an affair, to have an abortion. Get Election Updates Want to know when we’ll have live election results? Sign up to be notified on election days.